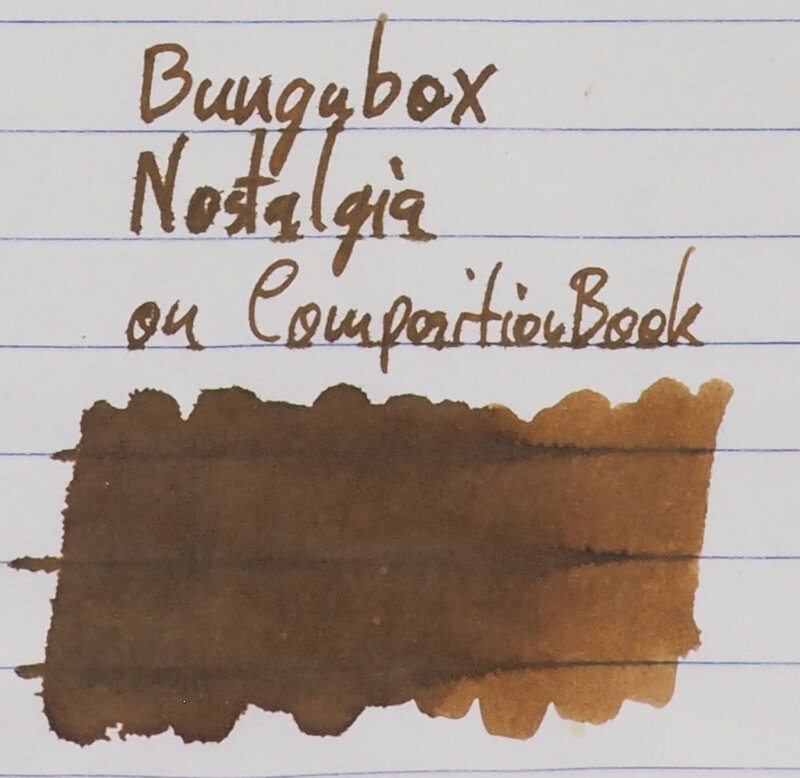 Bungubox Nostalgia is a sepia brown with some variance of saturation depending on the paper. This is one of those inks that looses some saturation on Tomoe River so the ink actually looks a little more like a proper sepia colour on that paper. On cheap or poor quality paper the ink becomes lighter as well. On Rhodia, however, the colour of the ink remains a somewhat saturated yellow brown with a very slight hint of green. The slip of paper included in the box describes the colour as “reminiscent of a faded sepia photo color. The color also brings to mind nostalgic thoughts of a far-off hometown”. I think the colour and the label of a large tree with a swing on it are certainly evocative of an time long ago. Especially thanks to some nineteenth century photos being naturally sepia in colour really helps evoke the feeling of Nostalgia. Though I can’t say it reminds me of a far-off hometown. The ink as a smooth lubrication and a wet flow. Nothing unwieldy though. The shading is on the lower side. This ink with more shading would be great and I think would evoke “nostalgia” even more. There’s no real issue with this ink on any paper apart from the expected spreading featuring and bleeding on low quality paper and it certainly isn’t worse than expected. There is practically no sheen on this ink. On Tomoe River there is the slightest amount of dull silver sheen on a the written line and only a little more on wetter sections. You certainly don’t really notice it until you look for it closely. The chromatography is pretty interesting. It starts with a grey, pushing though a magenta then a little bit of light brown, then a bright orange followed by a tiny amount of lime green. The lime green sliver is definitely noticeable in the ink on the paper; you can see a slight green tint. The dry time is surprisingly similar on both 80gsm Rhodia and 52gsm Tomoe River with it being only a little slower on Tomoe River. It’s quite slow to dry on both papers. Bungubox Nostalgia has some decent water resistance, surprisingly. Standard Sailor inks aren’t typically that great with water resistance. It’s not perfect as there is some wash and some staining but it’s still perfectly readable. The colour on Rhodia is quite saturated. There’s still the green hew but there’s still some orange present. Robert Oster Caffe Crema ✒︎ isn’t bad but is definitely still too orange and saturated. The closest from this bunch on Rhodia 80gsm I would choose Noodler’s Fountain Pen Hospital Old Dutch Sepia. Krishna’s colour is closer but the perfjoamcne and the flatter look give the Noodler’s an edge for me. On 52gsm Ivory (white) Tomoe River (and on 68gsm Ivory and 52gsm Cream Tomoe River) the colour is quite faded in swatches and very wet sections like the title. The fading doesn’t hit the written line as much, thankfully. Noodler’s #41 Brown ✒︎ a touch too yellow and too dark. The toss up between Krishna Oak and Noodler’s FPH Old Dutch Sepia is more difficult here. I think Oak is still too flat but the performance is decent on this paper. I’d pick Old Dutch Sepia again but it's definitely less obvious. It’s a nice nice brown colour. The hint of green really helps it for me. 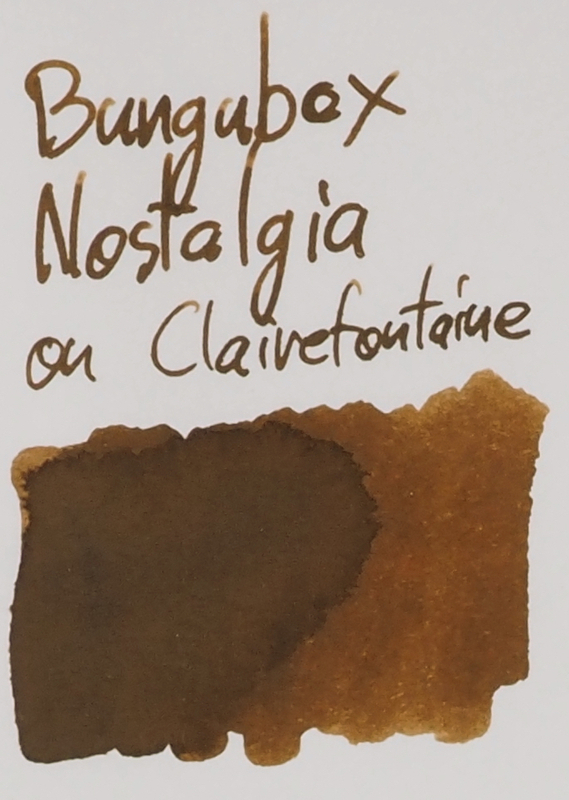 I wish there was more shading and I think the sepia colour a great choice for the evocative “Nostalgia” name. It’s unfortunately one of the inks that takes a little hit on Tomoe River but thankfully the written line isn’t affected too much. The ink comes out of the pen smoothly and nicely. I think this is definitely more interesting than Bungubox Valentine’s Choco Brown for me. The water resistance is a nice bonus for people who need that! 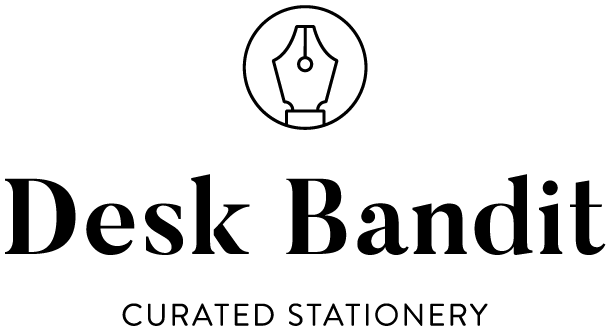 There are a few places in you can Bungubox inks including, recently, Desk Bandit who I believe is the first store outside the US Canada or Japan to stock Bungubox.